"Agile and intelligence BPM system, easy to use, in BRIDGESTONE COSTA RICA is a very important tool"
How to work the case assignment, in the other hand, the easy tool for create the process and different project in the the tool. Business process management (BPM) is the discipline of improving a business process from end to end by analyzing it, modelling how it works in different scenarios, executing improvements, monitoring the improved process and continually optimizing it.Build Your Workflow in Minutes. No Coding. Drag & Drop. Try for Free! Join 1+ Million Users. Pay As You Go. Competitive Pricing. Unbeatable Value. #1 in Google Marketplace. Try it for Free. Save Time and Cost. Drag, Drop and Go. Services: Scalable, Cloud Based, Mobile Apps on the move.t is meant to improve order, insight and efficiency of the collective workflows that make up any given business process. BPM is meant to reduce any chaos within those collective workflows that make up a process and eliminate ad hoc workflow management. It's a bit hard, compare with BizAgi for example the front end its more complicated. BPMS generally supports activities ranging from business rule management to user communication to analytics. Intelligent BPMS, or iBPMS, offers next-generation capabilities such as adaptive analytics and advanced collaboration tools. The paper flow, i create flows digital and save paper and more.Workflow automation software that lets you create an unlimited number of automated business applications. "Great product, intuitive interface and great support"
The best part about using Processmaker is the intuitive user interface which not only looks great but is easy to use. There is also a lot of great documentation online which helps whenever you run into difficulties. The support team are very good and not only do they respond quickly when a problem is logged, but they keep in touch until the issue is fully resolved. Currently, the company is using processmaker to get rid of paperwork involved in business admin processes, and speed up the flow of a process from one user to another, while making it easy for users to operate the programme. We are also trying to ensure that best practices are followed throughout the company, and processmaker helps us as it makes it easy to track cases from start to finish, and allows us to see which users did what very easily. "Most Friendly User and powerfull Bpms"
I Would like in the future still working with Pm bpms and maybe work directly with ProcessMaker, I think this bpms has a lot of cappabilites that another that i have tested never will have. I have integrated processmaker with some external companies tools like (472 currier company, Andescd certify company, TestAmerica tesavit. etc) . I have some powerfull plugins, to write and read Excel docs, To select XY pos to sign a pdf document, plugins with utilites to have very very low code.
" Very interesting and a very complete tool"
The variation of tools that it has, the utility it generates for the company and order. ProcessMaker is a cost effective and easy to use open source business process management (BPM) or workflow software application. It generates an excellent order in topics of requests, with which it can help to have a better address as a company. Response time only but it is more part of the company. What I do not like about the tool, a little development that developers have to generate when implementing a new text box. If by ProcessMaker I generate incidents, requests, are of access or projects which follow a flow that helps me create an order for things. I have solved many incidents, regarding issues in which projects, maintenance, tickets and A3 are involved. Which arrive to my person after having gone through a series of approvals verifying that everything is correct. "The Solution we were looking for our enterprise"
Its the easy to use interface, and the vast number of things we can create to bring the old way of doing things in to a much modern and user friendly environment, fast communication, data reporting tools to make our workflow available for other reviewers, since its based on common programming languages theres a number of opportunities to achieve web based operations as well as track a process to report other users their progress. So far we´ve encountered everything we looked for in the software, so really no deslikes yet, we would like to be able to delete cases or restart the case counter, but this may be a solution we are yet to find since we are just getting started to use the software. Read the documentation there´s a lot of examples there, as well as a great community of users who help each other. We´ve translated an audit process from sheets of paper and phone calls, to a web based form with e-mail interactions wich has proven to be far more efficient. Among the benefits we´ve encountered, the fast report of to-do cases vs. completed cases with just a few clicks, the easy to look documents from the users responses and plus, we can notify anyone from the case opener to the management about our progress. Manual Workflow was time consuming and to get all Approvals and consolidate those was itself a big task. Processmaker takes too long to Load. Auto Posting Functionality sometimes did not work properly..
"This is the best software to digitalize your work process"
I have to say "This is the best software to digitalize your work process". I am using it to help us control our work process and help our client to place/track order more convenient. We are in a traditional industry. We are using process maker to digitalize our working process. We are now using it to generate an online placing order system. Because all our products are customized, we really need a flexible system that we can build a process to help our clients to specify all details before placing order. Process maker is the perfect option! It is hard to say. It works perfectly for me and my clients. If I have to propose a suggestion, maybe it can improve on multi-language user interface? Processmaker is definitely the best solution for business that needs flexibility and customizes process control. We are using it for our clients to place the order online. We are traditional industry and provide non-standard products. we really need our client to specify all their requirements before placing order. Process maker is the perfect solution for this problem! "amigable, pero con muchos errores"
el proceso se nos daña con frecuencia cada que se hace una actualización de la version de process maker. os KPI´s no funciona adecuadamente. en la licencia standar los tiempos de soporte son muy largos y las fechas que se le asignan a los casos no son los reales. "Easy workflows designer and simple manage to use"
It is an easy and friendly software that you can be to use, because is a web application. You can design simples form and set quickly process into of enterprises. you can manage groups and user and allow user to create and edit process diagram, you can configuere the send email step by step process. the processmaker is a very safe to access trhough by internet. You can acces from multiple System operative such as android, mac, windows , linux, etc.you can get a easy report of stadictics. It's very slow when you have a lot user connecting to workflows, may be the connection to cloud. in the report's section not is very easy to prepare and configure into web application, sometimes is very complicated for to integrate with other apps, such as SAP b1 and internal apps . those are the most important points that I did not like.But not are not serious. with processmake we has resolving a lot issues, we can set automatically each process. The main problems that was solved with the purchasing process since previously everything was handled by email and excel, the processes were very delayed and complicated for their search, the errors were many when the requisitions increased, it was a chaos .But processmaker solves the problem by organizing the flow of purchases and obtaining better results for analysis of purchases, the best manage of suppliers, etc. "Simple yet a powerful BPM platform." Processmaker is simple to use and let's us create simple workflows in a couple of days, even in few hours. At the same time it has powerful capabilities that let's us create enterprise grade applications with systems integration. The plugin based service oriented architecture is what I like the most which let's enhancing the platform with additional capabilities without affecting the core functions. The version upgrade process is not that simple. We have to test all the workflows to ensure they are not broken by the version upgrades, especially when we have custom plugins and APIs. The user interface look & feel is outdated. Eventhough it is UI is responsive, there could be some more improvement to modernize the look and feel. Try out a few other BPM software and compare the features. Procemmaker gives you the value for money. It has most of the features that are expected in a standard BPM framework at a discounted price. We do have a lot of paperwork at our manufacturing plants. The primary goal is to replace those paper based inefficient, laborious processes with workflows in Processmaker. We use Processmaker to drive workflows of the other enterprise applications using the end points to initiate and perform the workflows in the backgroud while the users interact with a custom user interface. "I think ProcessMaker is a cost effective and easy to use open source BPM." A user can use Dynaforms to design many forms they want, and the Action by Email function is also very convenient for an organization to use internally. As a application for local governments in Australia, ProcessMaker should be compatible with other BPM applications by improving user interface, and integrating with Rates and building areas. The Dynaform should be able for a front-end developer to design its framework(accepting both jQuery UI and bootstrap ui). Since the ProcessMaker uses bootstrap as front-end frame, it should provide some update for clients to update the libs and js files to keep the form up to date. It is a good product for digitizing current business process. Transfer paper forms into Digital forms and ask PM to handle the process on the back. The processmaker we are using contains staff onboarding process, project changes request, internal catering and etc. I think ProcessMaker solved the problem where it allows us to change the business request dynamically. "ProcessMaker: An impressive BPMS Platform"
I love the reliability and ease of development on the platform, the platform is soo simplified that you don't need to have a deep knowledge of programming to develop processes. We recently encountered some compatibility challenges during the upgrades from 3.2 to ProcessMaker 3.3 which caused availability issues and dissatisfaction of our users. Also, for developers, we are forced to use too may plugins for compatibilities with our internal system. ProcessMaker helps my organization automate all our manual process in a cost effective manner. "Easy to use and understand." It helps a lot with follow-up and delivery. Drawing is easy (has an intuitive editor), the flowcharts look neat and easy to understand. Training new people to create the flowcharts takes no time. It has helped us finding some bottlenecks we have in our structure, helping us improve delivery times. The pre-defined templates help a lot creating the flowcharts faster; there are different sets of symbols that we can use to suit the different purposes of our flowcharts. All you need to do with the pre-defined templates is modify a few things, enter the data so it can suit the needs. A great feature it has, and works a lot with the follow up is the email notification system. For example, when there is a new task assigned to a person, that person receives an email notifying that there is a new pending task. Sometimes when you drag an item, it takes a while to respond. For the users it is a bit hard to change who has assigned a task when the person who was responsible for that task leaves the company. Just use it; it will save you lots of time. Automation and Dashboard creation. From a request from the user, approval of supervisor to development. In addition, something that we call change control, it has used to request a change in a process, close some audit findings by looking at the root cause. A different use for the tool is for migration purposes, in other words, dataflow is used for almost everything in the company. The flexibility to use APIs to retrieve/update information easily makes the form management a very useful tool. Management/creation of process is clunky. Developer needs to be agile in use of this and other tools to have effective development cycle. No security in designer - all workflows open to all developers - no segregation requires tighter controls on granting developer access. Easy to create integration with other systems via APIs. Form creation is easy. Having to types of processes (web form and event driven) is extremely useful. Not used in production yet but plan to automate process for receiving and processing paper forms with autofill for retrievable data from our Student Information System. "A quality management tool to implement BPM Solution"
1. The user interactive Interface is very easy to use. This makes the whole BPM and workflow design process so much easier, every one can design a business process themself. It is easy to go functionality, anything you want is one click away. 2. The preview function makes it easy to view the form as one designed it. This makes you have a overal preview before completing the process. Document: I can't choose many items in the same time to download them. One more thing, The features on free version are limited, maybe should have more show users can asscess the product exacty before deciding buy the enterprise version. We were automating the personal loan origination process. We have had tremendous benefits. The process was largely manual where the originator had to take manual forms to an operator who was far over 100km away. Besides, we can show the performance of all employee any time we need, we can change criterias flexibly so that the report can be displyed graphically. "Good product, Excellent training and support! " The user interface is very clean and easy to use. The application features a drag and drop form builder that makes creating complex forms very easy to do. We opted for the in-person training which helped us immensely. There is a large amount of sample code in their wiki to help get started. Their support staff is probably one of the best I've ever had to work with. I would recommend trying the evaluation version and having a few processes in mind to get started. I would also recommend the in-person training they offer as well. We are converting a number of manual processes from paper to electronic forms. We have seen a reduction in errors, forms submitted with missing information and overall speed of delivery. "Process maker is an awesome Business process management tool"
The tool fully integrated with LDAP, allows companies to simplify their business processes through an easy to use designer interface where all processes are modeled. It also allows integration with email. Status of all pending tasks feature allow for easy tracking. "Cloud-based solution suitable for rapid application development "
As main goal was to integrate solution with GSuite package, we could not adapt UI of ProcessMaker to be in line with other GSuite applications UI structure. But anyway users could adapt very quickly. Platform technical implementation and integration and good business analysis of processes to be automated is key point to achieve success. Process automation via ProcessMaker cover all areas of modern company: Finance, HR, RnD, Quality, Maintenance, IT and others depend on user needs. "ProcessMaker is a great BPM system." ProcessMaker is easy to customize and tweak to your needs. Support is very responsive. Really nice product to use, our users have no trouble using it on a daily basis. Since it is so customizable upgrading to the latest release can be challenging - sometimes the next point release requires a different version of PHP or Apache and that can cause some issues. Also since each release has a lot of tweaks and updates you have to really test everything on a test server first. Give it a try! The community edition is FREE! Just making internal business processes more efficient. Instead of emailing spreadsheets or pdf's around we now use ProcessMaker for several different processes, which also gives us an audit trail and visibility into the track of a workflow. Process maker is a workflow solution which can be customized easily to meet business needs. It can also be easily integrated with financial systems. - The language used in writing forms is a bit complex. - Sometimes cases are duplicated with the same case ID. It will eliminate the use of memo approval forms by creating a digital signature for approvers. "Great tool to gain efficiencies and visibility"
I like how flexible the tool is to create any process you can think of. I also like how you can make workflows trigger other workflows. Email approvals is also a really neat and helpful feature. ProcessMaker is a great tool to automate and streamline processes. Everyone one of their teams are very helpful. From the sales team helping you understand the products capabilities, to the professional services team helping you build the processes. I would recommend, depending on the complexity of your processes, that you allow a reasonable implementation period. Also check your IT requirements to avoid any delays. Process visibility, clarity, and all communications and documents kept in one place. "Study Process Maker to create workflow"
- Largest possibility to create : you think to something it's possible to do it ! With ProcessMaker we will get fastest to data processing, a better user experience thanks to smart forms communicate with our data, get statitics and know for each process the steps passed. The learning curve is low, and they can build processes in relatively short times. The version changes are not handled properly, several bugs appear that affect the implemented processes. It's a headache to update. It is a good tool to implement BPM in an organization. Eta in constant evolution and that guarantees its sustainability over time, also its price is very competitive. "The right product to the right time"
As a Transformation Methodology Director every division of our business has its own special requirements and historical structures. The guys on the ground do not need a tool what fixes their process issues, they need a platform to first visualize the practice, think about and try different criteria of next workflow steps and play themselves through the process with the knowledge, that they have to run the very same workflow through over and over again. ProcessMaker was the best piece of software I used so far to get a process minded culture started in our company and sustained through out the journey of transformation. Nothing so far. We are testing the different language packages now. Tell the transformation story about a journey where you also need support gear along the way. The main problem I could solve is the often faced situation of process on paper but practice without measurable performance data. ProcessMaker helped to reduce the time to market of our Product from 208 down to 81 days by simply letting the team leader work together across the units and experiencing simple process flows and decision criteria. Suddenly the controller understood that their value add is not to control but to shorten the lead time against the agreed targets. Now the Business sees himslef as Process owner. "Powerful software for the big and small"
It has a great open source community that can help you build pretty much all you can dream of. The enterprise support and features allows you to do it pretty damn fast. The APIs are straight forward and can easily integrate with everything I've made so far. The installation requires some fine tuning and certain knowledge of the Apache Web Server. The front end had a few missteps with certain web browsers on https, it works better (nut not perfect) these days. It has all the features and benefits from other BPM Solutions, in a more compatible platform (LAMP). The APIs are a great tool to integrate with third party software. Build a powerful back-end thanks to the APIs, and pretty nice front-end to build and publish forms. ProcessMaker is a feature-rich, yet over-complicated software. You can automate and setup many tasks for business use, and my favorite feature is that you can sync with Windows Active Directory. Their support team is willing to help sort our problems, though most of the known issues are tracked in the Bug Report. ProcessMaker seems to go down every time a new update is released. We handle our Purchase Order management with ProcessMaker and have been able to organize all of our data. "Useful but buggy in advanced features"
The workflow logic is quite powerful and there's a lot you can customize. Many features such as the mobile app, taking action by clicking a link in an email, and even basic case flow have significant bugs. I have 8 confirmed bug tickets open with ProcessMaker all of which are over 7 months old. ProcessMaker can also be very slow in places. Submitting a form usually takes 30 seconds and doesn't show any loading icon, which confuses users. Be prepared for doing a lot of the work yourself and discovering a lot of bugs. This is mainly if you want to use anything beyond the most basic features. We automate business processes such as purchase orders and HR hiring processes with ProcessMaker. We upgraded from a paper system and it's definitely faster than that. "Drive consistency and quality by replacing your manual processes with ProcessMaker"
ProcessMaker enabled me, as a business user (not developer), to rapidly deploy workflows to replace some of our manual processes. ProcessMaker still has it's limits once your processes have matured to a certain point. We used ProcessMaker to help drive consistency across our global service delivery teams, by replacing our manual processes with workflows. It also enabled us to capture data through-out our process, which we've integrated with our Analytics tool unlocking the ability to provide insights into process performance. "Smoothly create an online process with webforms, notifications and approvals"
The PM service team provided outstanding support and assistance. From design and development to testing and release, they were very responsive and super helpful at every step of the process. This product is extremely flexible, which is great, but also has a bit of a learning curve. Luckily, they provide training and have a collection of demonstration videos and tutorials. They have a rich library of resources at wiki.processmaker.com which can be helpful in determining if the features PM provides are a match for your needs. We have automated a form based process that requires comments and approval from multiple departments. We were looking for greater efficiency and transparency throughout the entire process which ProcessMaker has provided. I've found a great tool to automate the work flows at my company. It is very flexible and online documentation helps a lot to start implementing it. It is totally recommendable for those companies that are looking a way to improve the efficiency of their processes. 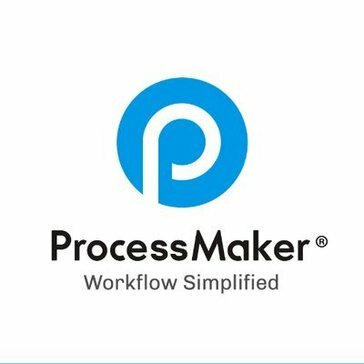 I like ProcessMaker because makes your life easier as process leader, since it almost doesn't require programming knowledge / experience to launch a workflow in production. It offers a good mechanism for users/group management, so permissions and roles are very easy to control. One of the disadvantages is the limited reporting capability at the open source edition. After release 3.1, now it has a reporting tool very useful. So, reports can be otained much better and easier than previous version. It has a open source edition that you can use to test the tool and start making simple implementations. Even when is using Apache,Mysql it has an excellent installation wizzard that put everything in place. At SDI ProcessMaker is helping to automate the requests for payments, purchasing, customer credits application, IT service desk, personnel absences (vacactions), facilities maintenance requests. You can use ProcessMaker to automate and simplify rigorous processes that are carried in your company. The system allows you to drag and drop without much hassle. It doesnt require much programming. It doesn't allow programmers to write their codes in other programming languages as the system is written on gulliver. I believe ProcessMaker will add efficiency to companies hoping to automate their workflows. "Easy and Flexible. Keys to Success Implementation"
Processmaker let us build Proof of Concepts fast, reliable and with rich interfaces that customers and users love. At Dynaform level, it would be nice to have easier field validations. If your Company needs to deploy an application right away and your approach should be delivered in weeks instead of months or years due to standard software development, Processmaker is the right choice. Field Operations with mobile experience (Online/Offline). Centralized Purchases enable better prices to get products. Avoid material stealth and monitor every operator in field. "The Dawn of Business Process Automation"
-Use of various validations on the dynaform controls helps in the reduction of reworks and elimination of non-value adding manual tasks. -Ability to obtain accurate process metrics and set Service Level Agreements (SLAs) helps in tracking and realizing the benefits. -Under the designer view, the process flow appears disjointed and can therefore not be used for presentation purposes without using additional applications i.e. Ms Visio which is more presentable in displaying and end to end process. "Processmaker is the easiest BPM software to use and configure." It is easy to create web forms, then associate the webforms to a certain task in the BPM designer. You can put on triggers, before and after loading a particular task, and many other features even in the Community Edition. You can create permissions to disallow/allow users to access specific levels in a given case. The templates are used to generate output documents not to mention you can define input documents of any type. The case tracker is an awesome feature and is present in the Community Edition. Installation is the best among BPM software, is simple enough to install and doesn't need any heavy dependency like the application server common in Java-based applications, i.e., jboss or Tomcat. It only needs the HTTP server, PHP and MySQL(additional databases for the enterprise version) light enough on the server side. With ProcessMaker, you won't be presented with so many software packages to download and install, unlike what we saw in Nintex. It is just the BPM software for you to install, configure and use. ProcessMaker is kind enough to provide the Community Edition of their software with some of the most important features available. This edition is useful for testing and even for production given that you have to support it yourself and if you have the IT personnel to maintain it. Lastly, there is the Mobile Edition also available for the Community Edition. This is the major feature that allowed me to decide in using ProcessMaker. PHP Language, but I can live with it. I also hope that we do not need to enable to debug a process in order to get the pin code to allow case tracker access. I would like to emphasize on the importance of the Community Edition, I hope they will continue to provide this edition. If you'd like a BPM software that is easy to configure, ProcessMaker is for you. Tried Bonita BPM, but find it very difficult to create a working workflow, while ProcessMaker's features such as the web form(dynaform) and the BPM designer is easy enough to integrate. Submissions of prospect customer's data for validation. A team who validates the data will either reject it and send it back to the agent or approve it for submission to another third party. "Great product, intuitive interface and good support"
Processmaker is quite intuitive user interface with looks good and easy to use. The Dynaform should be able for a front-end developer to design its framework. There is also a lot of documentation online which helps whenever you run into difficulties and the support team are good. "Processmaker has been an effective Workflow for my organization"
It has assisted to effectively manage expectations and deadlines. "Powerful Maker of Complex Process"
Many features like, the automation process, SLA report, ease of use, and the Integration with many Web services. "ProcessMaker good tool to automate your processes"
Construcción de procesos de negocio para ayuntamientos, radiodifusoras, areas de seguimiento de proyectos, areas de tickets. etc. I like the way it orders and Simplifies, the way to make purchase orders, in addition to keeping a real time control of how is the approval status by the persons in charge of approving the purchases. What I do not like, and that perhaps is the internal order of each company, is the time of approval, since it has so many cases in its approval tray that it does not know how to prioritize the approvals of the purchase orders. It is easy to use and interaction, minimizes time, creates a history of approved orders and also benefits when ordering your processes. The speed to create processes and dynaform. Easy to create plugin and add features. User gestion. We don't have to take time to setup autorisations. I use processmaker to create insurances offers. "ProcessMaker One Of the best WorkFlow Softwares"
"Easily designed, workflow simplified and amazingly flexible"
Very flexible to cater for almost every type of workflow. Not many built-in feature available and no good looking interface for end users. Mostly, Education industry doesn't have software developer in their institution (for schools at least, may be not universities) Processmaker may require software development capacity if you are willing to create complex processes. To standardise our business processes, to enforce our internal policies and procedures, actively monitor workflow with reporting and notification, generate live reports based on data within processes. "The tool that changed the quality manual into a visual, powerfull process "
More seiously, a hosting model like Jira : 10$/month for 10 users as a starter would have made me feel more confortable for next versions evolutions. Burn the Quality Manual, draw your processes, you will better understand, control, improve your work. We are establishing a new laboratory for temperature and humidity measurements, so that our skills inmeasurement is recognized by national standards. This implies that our process for each action is well defined, well maintained and can be explained to new employees. Traceability of documents, actions, and who made what is part of the necessary organisation as well as constant improvement. To achieve this , lot of folders, papers and obscure explanations were proposed, but we could not see processes clearly. Before starting to write a line, we ldiscovered BPMN, that fits our needs and is accepted like a miracle by our consultants. "Great Product with amazing capabilities." The best thing i liked about processmaker is its user interactive Interface. This makes the whole BPM and workflow design process so much easier, you don't need in depth knowledge of business flow if you are a technical person. I am saying this because i am one of them and i designed my business process. Its easy to go functionality, anything you want is one click away. As a developer the best thing about this is its REST API documentation, it is so easy and understood able and i liked it most. I disliked things about documents upload and download. There are many drawbacks on that end as i was not able to apply certain rules over that. Also i tried email integration within the flow which was a major headache in previous version. There is also a problem with roles & rights. I can't assign role to a particular user and there's no API to change that role frequently if i need to change it. I designed a workflow for my company which we are using by building various cases on it. We defined group of users who'll work on that and various roles and permissions for them too. The benefits i got it from this is that i didn't maintain databases or queries related to that, that reduce major headaches. Also variables storage related to case made working with it more smooth. "ProcessMaker is an interesting and easy to use application. " Sometimes data swap while it circulation. ProcessMaker is easy to use and implement. The ease of creating workflows, easy to use form maker. Most operations work flawlessly. Every so often you find an operation that's not well documented and you bang your head on it for awhile.. The main problem with their documentation is not enough examples of actual use of each operation. I would recommend if you can, go for the enterprise edition. The community edition is okay, but you'll find a variety of dead-ends, and that's why we only use it for simple workflows like auditing. Trying to do document management on the community edition is only for the well skilled with lots of time on your hands. Unfortunately their pricing model is aimed at large businesses. Consider $1000 a month for their first tier, and you need at least 100 employees to make that price comparable. Processmaker is easy to learn and easy to use. Documentation is plentiful. Anybody with PHP and MySQL knowledge should be able to use it with ease. When there are alot of cases things get slow. No version tracking / control. Paper to paperless. Easier business process via workflow. "Good, easy and flexible "
How easy it is to build flows, templates, web forms etc. Its really flexible which allows you to solve or automate processes in many ways as you creativeness alows. we had to ask for a personlized developement and it took a lot of time for the processmaker team to put it together, but once we had the team workind the timing was great. we are automating many forms and processes that involve documentation, this way everything is digitalized and we are avoiding soo much paper. * We monitor all ProcessMaker reviews to prevent fraudulent reviews and keep review quality high. We do not post reviews by company employees or direct competitors. Validated reviews require the user to submit a screenshot of the product containing their user ID, in order to verify a user is an actual user of the product. Hi there! Are you looking to implement a solution like ProcessMaker?